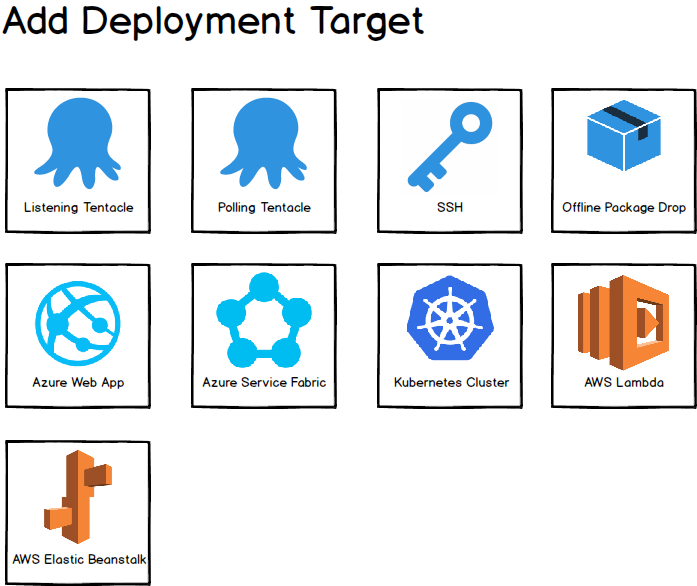 This post is a part of our 'Azure Cloud Deployments with Octopus' blog series. Follow it on our blog or our twitter feed. Summary: Platform-as-a-Service endpoints (Azure websites, etc.) will be modelled as deployment targets in Octopus. Octopus is a release-management and deployment-automation tool. Not surprisingly, the concepts exposed in Octopus reflect this: Releases, Deployments, Environments, and Targets (aka machines). One of the strengths (we believe) of Octopus is that it models deployment concepts in a way that matches how people think and communicate about them. Deployment targets are modelled as first-class objects that live within one or more environments. This is a surprisingly rare approach. Many of the tools that play in the same space are primarily build/CI servers, and as such have a different concept of environments and targets/agents. To them a "target" is often just a bunch of configuration values within a deployment process. With the exception of Cloud Region, these targets all represent connections to Windows or Linux machines (indirectly in the case of Offline Drop). The world is changing. More and more often, a deployment is not targeting a group of machines, but rather a platform-as-a-service endpoint such as an Azure WebApp, an AWS ElasticBeanstalk, or a Kubernetes cluster. There were a few options for how we model these. We made the decision that from now, Octopus will model the various flavors of PaaS as deployment targets. Those of you who have been using Octopus for a while may remember that we started down this road once before. When Octopus 3.0 was released, we modelled Azure Web Apps and Cloud Services as targets. Then we changed our minds. For the full details of why, please read the linked post. In summary, it was because we didn't have an answer for people who wished to dynamically provision their infrastructure during deployments. This was a mistake we deeply regret, but in many other ways the Azure target-types were pretty great. And we won't make that mistake again (see Dynamic Provisioning below). Which PaaS flavors will be supported? And no doubt more will follow. Modelling these PaaS endpoints as deployment targets brings a number of benefits. Three in particular are worth mentioning. Imagine starting work at a new company. Being able to view the infrastructure page in Octopus and see the environments, the targets within them, and the roles those targets possess is very powerful. We feel this is much nicer than having to reverse-engineer this picture from the various deployment-processes. Roles in Octopus provide a simple yet powerful ability to execute a step across multiple targets. Targets are assigned one or more roles. Steps in a deployment-process specify which role they should execute on, and the step will then be executed once for each matching target. Admittedly with PaaS targets this ability isn't required as often as it is with machines. For example, when deploying your web app to virtual machines, you must deploy to each machine in your cluster. Whereas with an Azure Web App for example, you just deploy to the PaaS endpoint and it scales internally (this is one of the key benefits). But... you may have multiple Azure Web Apps in different geographic regions. The combination of targets and roles provides an easy mechanism to deploy to all of these. Or you may have a multi-tenant application where each tenant has their own web app. Targets + roles + tenants = a lovely way to model this. Operations processes which execute against an environment. e.g. running custom health-check processes, or updating HTTPS certificates. Custom status\diagnostic pages for targets. e.g. which pods are running on my Kubernetes cluster? As mentioned above, we first added PaaS targets in the 3.0 release of Octopus, but with a significant oversight. There was no way to dynamically provision, for example an Azure Web App, as part of a deployment process and then have it be used by the current process. This time there is. We have created a mechanism where an executing deployment step can yield a message back to the Octopus server, instructing it to add a new target to the current environment. Targets created in this way will then be available to subsequent steps in the executing deployment process. New-AzureRmResourceGroup -Name $uniqueName -Location "WestUS"
New-OctopusAzureWebAppTarget -Name $uniqueName -AzureWebApp $uniqueName -AzureResourceGroupName $uniqueName -OctopusAccountIdOrName "my-octopus-azure-serviceprincipal-account" -OctopusRoles "acme-web"
And of course if your infrastucture-provisioning is executing outside of Octopus, then you can always create the target via our HTTP API. We will dive into more detail about this in future posts. Octopus licensing is currently based on the number of machines you deploy to; this is because we believe the number of machines you deploy to is a good approximation of the value Octopus is providing. This means that Octopus has not until now charged for deploying platform-as-a-service applications. A customer deploying to a hundred IaaS virtual machines would have to license Octopus appropriately, but a customer deploying to a hundred Azure websites, service fabric clusters, or Kubernetes clusers wouldn't. 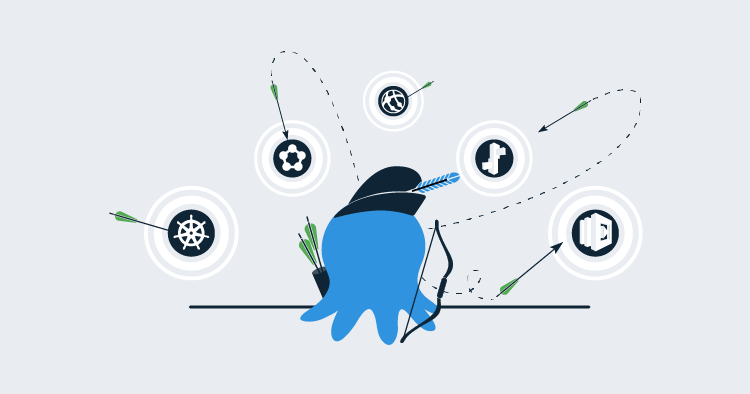 Historically deployments to PaaS endpoints have comprised a small proportion of overall Octopus usage, so this isn't something we've worried about. But the trends are clear, and there is no reason to think adoption won't continue to increase. We originally planned to introduce PaaS target billing based on counting the PaaS endpoints you actually deploy to (easy enough for us to count these during a deployment). Since we're making the switch over to modelling PaaS endpoints as targets instead, this seems like the right time to introduce billing for them to if we are ever going to do it. Your existing Azure steps will not count towards your licensing limits, just like before. Nothing has changed here. Azure targets will start contributing to your licensing limits just like other targets in Octopus. Any existing "old" Azure targets will be upgraded to the new format, and will begin counting towards your licensing limits. Offline Drop targets will start contributing to your licensing limits just like other targets in Octopus. If you make heavy use of the "old" Azure targets or Offline Drop targets, please take the time to ensure your Octopus Server will still be compliant with your license after you upgrade. Octopus will check this for you during the upgrade process. If you run into trouble, please reach out to our support team for help! There will be no breaking changes. Everything you have configured today will continue to work. As of the 2018.5 release, if you wish to create new Deploy Azure Web, Deploy Azure Cloud Service, or Deploy a Service Fabric App steps you will need to first configure targets in the appropriate environments. Counts for license-usage will not change until you create instances of the new targets. Essentially, your existing configuration in Octopus will continue to function and will be priced exactly as it was. These changes are all forward-only. If you have any concerns or questions, please don't hesitate to reach out. We are excited about this direction. We feel it is a natural fit, and provides all the immediate benefits mentioned above. But this work is also a key stepping-stone for other features we have planned. We want to make it much easier to dynamically provision and deprovision entire environments (e.g. for feature-branches), and to execute operations processes against environments. We will post more on these features in the coming months. What does Microsoft deprecating Azure Service Management APIs mean for Octopus Users?